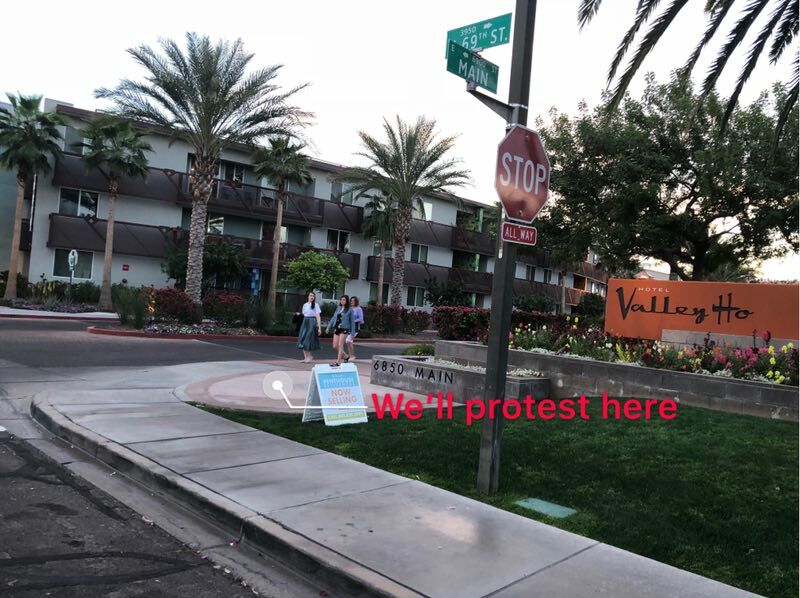 Protest at the Valley Ho Hotel in Scottsdale. Chinese-Americans Will Protest the Visit by True North subsidiary Passport Health to the Valley and Ask the Franchisees To stop Their Owner from Destroying the Phoenix Chinese Cultural Center. Scottsdale, AZ: A protest is planned for Wednesday morning at the Valley Ho Hotel in Scottsdale, Arizona, the site of a franchise meeting between Investment Banker David Tedesco and his franchisees from True North subsidiary Passport Health. Passport Health, along with Realty Executives and Pump It Up (Fun Brand) is an investor in the 97 units purchased at the Chinese Cultural Center by Tedesco almost a year ago. Since then, he’s been trying to systematically destroy the Center and replace it with another regular office building. He wants to move Passport Health into the Center, along with his other companies, and push the Chinese businesses out. The protesters plan to be available to talk with and educate the Passport Health employees on the precious nature of the Chinese Cultural Center. They do not believe that True North has told them what they are trying to do to the Center, and they hope explaining to the investors and franchisees what is happening to the property will inspire the good hearts of the Paassport Health employees to pressure David Tedesco into stopping the destruction of the Center, while at the same time protecting the Passport Health brand. The protest will begin at eight a.m..
WHAT: Protest to Save the Chinese Cultural Center and to educate visiting Passport Health investors, franchisees and employees. WHERE: Valley Ho Hotel, 69th Street and Main Street, Scottsdale, AZ.